Why does life have to seem so hard? It appears, we go from one battle to another. I can’t say life is bad because it isn’t. It is just a struggle, more at times than other times. I know it is not just me, because I have been around long enough to know everyone has their struggles, and their problems that seem insurmountable at times. I was once naïve enough to think there really were household’s like Ward Cleaver’s home, or Donna Reed’s. I think it was a dream everyone wished they could have. It would have been nice to have all the problems solved in a thirty-minute time span. Some of my struggles are so mundane I can’t even remember them. Some are so painful I couldn’t forget them if I tried. I can put them out of my mind for a while, but they are always there. Maybe they are there as life’s lessons. I have to say, I didn’t like those particular home work assignments when I had to go through them. I have to say in all fairness, I would not be who I am if I had not gotten through them. I have heard people say “Eve did this to me. She caused all the problems by eating the piece of fruit which God told her not to eat.” So I question myself, did Eve really do this to me? I think not. I now believe she had the help of her man, Adam. God’s word tells us man fell, not just woman. So today if I am going to blame anyone, I am going to put it all on Adam’s back. When we marry and take a life partner, we are seen as one. Except of course when it is convenient, or politically correct to make sure we are separate sexes. We are made as one but life happens because of two. Even with science, it takes two. It takes an egg and a sperm put together to create life. I know in the creation, us poor misguided women were taken from a man. Clay was put around a rib bone, and woman was created. Something like that anyway. I know God, no matter which way he did it, created Eve. Adam was instructed by God not to eat the fruit from the tree of “Good and Evil,” as well as Eve. I have never figured out why this turned out to be totally Eve’s fault when they both knew the plan, and they knew the consequences if they did eat the fruit. The bottom line, they both had the same job description. The best I can remember, Adam comes over to the tree and says, ”Hum, let me have a bite of that fruit. It looks really good.” He didn’t say, no sweetness you can’t have that, or he doesn’t take it, and throw it away. He just eats it with her, and now we have troubles. So from my way of thinking, I am now totally convinced that Adam is the one who is at true fault. He did not do his job as head of household. He ignored God when he knew he shouldn’t. He failed to protect his woman. So now I know why I can officially blame the male species for what goes wrong in this world, and I will continue to tell them they are at fault or as I told my kids, “it came from your father’s side of the family”. It was not Eve, it was Adam. Since this is Sunday morning, I thought I would share a video with you that will get your day off to a good start. There’s nothing like laughter to get you on the better side of your day. This video was made by a Baptist preacher with the story being told to his congregation. Enjoy. As Christian’s, today is the day we call Good Friday. It is the day chosen to observe the cruisifiction of our Lord, Jesus Christ. When I was growing up I couldn’t grasp the concept of why it was called Good Friday when it represented a man being nailed to a cross and tortured until he died. In my young eyes, there was nothing good about that. I knew killing was wrong so why did we celebrate a man dying. Now in my later years I praise God every day for sending his son to this earth to die for my sins, so I can sit at the right hand of my father and praise him. I wrote a poem this morning called Easter Holiday which I would like to share with you. I hope each one of you have a wonderful Holiday remembering our Lord and Savior. Blessings to you and yours. I have racked my brain trying to think of something to write about today. You know, every time I tried to think of a topic, only one thing kept coming to my mind, Prayer. I think someone is trying to tell me something so I quit fighting it. What is prayer to you? How often do you pray and do you have a reason for your prayer (not that you need one). Prayer is our communication with God, or whom or whatever you worship. There are at least five types of prayer. 1. Asking for forgiveness – For me this one is an absolute necessity. Since the only perfect person left this world over 2000 years ago, I can’t be perfect. I may try to convince my husband I am at times, but since the Lord knows me inside and out, he knows I fall off the wagon occasionally (so to speak). 2. Adoration This is the praise and worship type of prayer. I choose to adore my Lord. There is no one above him and never shall be. The act of faith is a prayer of adoration. 3. Love – I think the prayer of love is tied to the adoration. You can’t give spirit filled love to our Father without the adoration. 4. petition – For some, this is the only prayer they know, Lord I need, Lord I want, Lord would you please, Lord I’m begging. This type is when we pray when we need something. With a prayer of petition we should always prayer to accept Gods will whether he answers directly or not. I know God answers prayer. I learned the hard way. Be careful what you pray for because you may get it. 5. Thanksgiving – This is probably the most neglected prayer type. It’s the prayer of thanksgiving. While grace before meals is a good example of a prayer of thanksgiving, we should get into the habit of thanking God throughout the day for the good things that happen to us and to others. Have you noticed anything while you were reading these types of prayer. The one thing I noticed was when I pray, or I hear someone else pray, it includes all five of these types, at the same time. We make sure we cover all the bases. We are taught to pray always, pray with faith in Jesus, pray with sincerity, and pray with real intent (ready to do God’s will). My prayer for you: My dear Lord and Savior, I thank you for the blessings you have given to me this day. I praise they name. Lord I asked that you bless each person who is reading this prayer. Put your arms around them and relieve them of burdens they carry. Guide them and bless them as only you can. Let everyone know that through you all things are possible. In Jesus name. Amen. 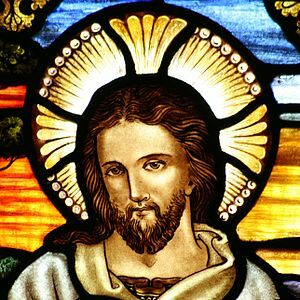 I know my blog is about writing most of the time but since it is close to Christmas, I have the urge to talk about Jesus,since Christmas is his celebrated birthday. I have a hard time accepting Christmas not being celebrated for what it was meant to be. Now it is for many people, “What can I get, or how to make more money. Our Christmas has become so commercial it has left out the central element, Jesus. How do you view Christmas? Is it what you think it should be? I know everyone is not Christian in their faith, but even so-called Christians have lost sight of what the Holiday is about. Watch this video, I think it sums it up very nicely. I can’t take credit for this piece. It was written by a writing friend of mine who uses the name Jazz on Fanstory. When I read it I knew I wanted to share it on my blog. I hope you enjoy reading it as much as I did and imagine how wonderful it would be. Imagine a Christmas whereby no actual gifts are exchanged. But instead, gifts of the heart, gifts of service, gifts of love. Meaningful, everlasting gifts. And, they were given over a period of at least twelve days. For instance, we offer our services to an older couple in the neighborhood. Everyone knows at least one couple, or a widow or widower. Make dinner every night for twelve days,do chores around their house, laundry, or take them to the stores, or just go for them. Pick up, and/or drop off, their Rx. Take them to a show or the movie. Seeing to it, in every way possible, that they know you love and care for them as a neighbor. Or, volunteering our time to visiting hospitals and nursing homes. Sincerely showing up and just being a comfort to as many there as possible, especially those who have few, if any visitors. Maybe writing cards and letters to family and friends, letting them all know that we are so grateful to be in their lives. Or maybe, to a friend or family member whom we haven’t spoken with, for whatever reason, in a long time. Possibly, we know someone who is having a very hard time just buying groceries. Wouldn’t it be nice if, we made a special effort to seek out such a family, and picked up some extra canned goods and boxes of spaghetti, or bags of rice (so cheap and feeds a lot) while we are at the grocery store for ourselves. An extra loaf of bread and jar of peanut butter. Baby formula, diapers, something, anything useful, helpful. Imagine, how much money we would save. No out of control credit card bills. Imagine, how much less stress we would experience. Imagine, how many real and lasting smiles we would be putting on so many people’s faces. Still celebrating the Christmas season with dinner, friends, beautifully decorated Christmas trees, holly all around the house, a log in the fireplace, the aroma of hot turkey and pumpkin pie filling the air…and hot cinnamon cider brewing. Still keeping the twinkling lights on the outside of our houses, on our windows and beautiful green wreaths and big red velvet bows adorning front doors. Imagine, how many more people would be looking forward to Christmas. Imagine, that after the holidays are all but over, not one person has to work overtime, or get a second job to pay for the gifts already broken or lost, or too small, or just plain gone down in value, or (heaven forbid) were never appreciated in the first place. We can do this, all of us who sincerely want to honor our King on His birthday. We who want nothing more than to show our love and let Him know that we are eternally grateful for His sacrifice, for His unconditional love and His saving grace. Not to mention everything in our lives. Imagine, how we might feel if, when one of our own children’s birthday arrived, all our friends, relatives, and even our other children, celebrated his/her birthday by going into hock for everyone else…but the birthday child. It just doesn’t seem right. It’s not right. Imagine, the look on the face of the child whose birthday it was. What The Heck? Okay, so God is not thinking that, not exactly, but He has to be wondering. Wondering why? How could we have gotten so far away from what Christmas really is? How could we have forgotten our first love? And, let’s not fool ourselves, we have. And all the retail agents know we have. And, most of all, God knows we have. For sure, as that commercial once told us; we’ve come a long way, baby. A long way from where it all started with the wise men. They were our example. They can be our example once again. They really were wise. Very wise. Imagine making a private vow to God, that we are going to remember why we celebrate Dec. 25th at all. Remind Him that we are grateful, more than grateful, for His precious gift of Jesus Christ to us; to the world. Promise Him that we will dedicate that day to His loving Son, in ways that will honor Him, glorify Him and make Him proud of us. Imagine, the smile on His face. Imagine, celebrating Christmas as though it were the birth of Christ, and not our kids birthday…again. Unless it really is your child’s birthday. Imagine, teaching our children, that Dec. 25th really is the birth of our Lord, and they get excited about it as though it were their own., but expect no special treatment for themselves. Imagine, no child in the world feeling sad because they didn’t get all the toys on Christmas that they wanted, or that their friends received. Imagine, all kids going back to school after Christmas vacation and sharing all the things they did for others…even in the name of Jesus’ birthday. Imagine, our kids asking “what are we going to do for Jesus’ birthday this year, mom? Imagine, even buying or baking a beautiful birthday cake…maybe angel food, and getting up on Christmas morning, gathering the family around the table and actually singing, happy birthday Jesus. Imagine, that after just a few Christmas’s celebrated as though it really was the birthday of Jesus Christ, we all would be in one accord, out of debt and actually looking forward to the next one, with real good tidings. In this writing, I have considered the many people who celebrate Christmas, but who are not Christians. And, even if you do not believe Jesus to be sent from God, to be God in the flesh, it would not harm anything if you were to only remember it is historically accepted, that He did live, and that he surely was born on a certain day. He lived and walked this earth doing only good. He loved all the world. He still does. And, we were all on His mind when He died on the cross. Joy to the world. And Christmas time depression, be all but wiped out. Imagine! And, of course, doing all those special loving acts dedicated to Jesus and telling everyone so. Thank you everyone for reading this fairly long post. I wish every one of you a very Merry Christmas and a wonderful New Year. I am so very sure of my New Year’s resolution, and for the first time ever, I will have so much fun keeping it. And to God be all the glory. This is day #4 and I just heard the most interesting interview from a four-year old boy who had emergency surgery and while on the operating table, went to heaven, met his miscarried sister, great-grandfather and came back to his body. I read the reviews that were written after the interview and it really took me by surprise. You had people saying there is no heaven yet because Jesus has not come back to earth, the little boy just lied, he is satanic, because only the saved can go to heaven. The father and son wrote a book called Heaven Is Real. They both were talking very sincerely. The boy looks to be about seven now. He talked of Jesus, having a rough face and blue eyes. He said God could hold the world in his hands. I found the whole conversation intriguing. The book is on Amazon.com along with many other books about leaving the body, going to heaven and then returning. I for one am a believer of the out-of-body experience. I also believe God can use anyone to spread his message, including a four-year old boy. I will be reading the book and doing a review here on my blog at a later time, but right now I would like to know how many believe in an out of body experience and why. I have added the video. Let me know what you think. That is my two cents for today.